Western-Water.com is a collection of curated and original news stories, press releases, and tools such as water flow and volume calculators for people interested in water issues mostly affecting the western states that are part of the Colorado River Compact. 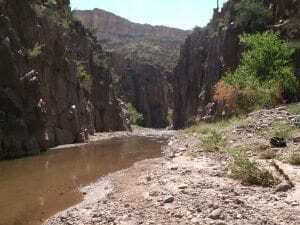 The materials here are selected and programmed as a result of over 30 years experience in Arizona water law. We will soon be connecting to a searchable adjudications site featuring the Arizona water case that has stemmed back to the 1970s and a professional directory where you can market your services and products.